Now this has been one of my favorite pictures since I took on August 19th 2013. It was taken while we were staying in our little vacation home on Chincoteague Island, Va. I have it set as a screen saver and tonight I was just looking at it and saw a face! So I brightened it up a little and this is what I saw! This is not a drawing on the boat, these are real spirits of the sea! There is a total of 4 images to see including the original! I'm going to have to do some research to see if these men are connected to this very old boat. 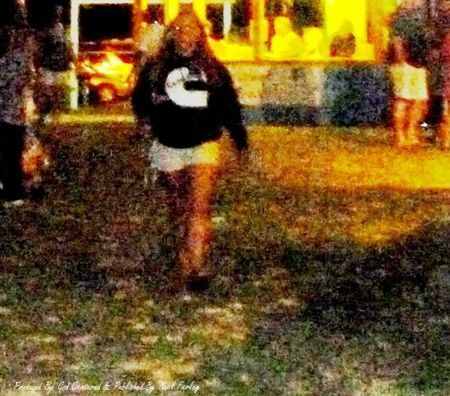 Full body apparition at the Carnival Grounds. 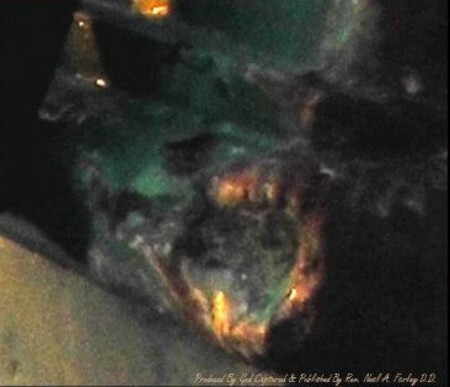 My Unofficial Forensic Report On This Picture. Question: This is nothing but the lady’s own shadow? You know I love a good challenge when it comes to the paranormal, and make mistakes just like everyone else. I have always tried to seek the truth and if I make a mistake I will correct it. There kind of a rule in paranormal photography to always try and take two of the same shot to verify if it was there or not. But heck I'm on vacation taking pictures of the annual Chincoteague carnival I’m not looking for spirits! Well Is should know that were I am there are always spirits! Ok back to the picture. The first thing I always try to do is go back and check to make sure that the pictures is what I think it is. My first thought was this is nothing but the lady’s shadow! Then I looked much closer and realized that forensically it was not making sense. So I went back to the carnival and took a second look at lights, angles, and distance and anything else I could think of. 1st The only above lights are in front facing us with the exception of the string light which are 100 yards behind her at the entrance of the grounds. The only other light source is coming out of the inside of the buildings but that is the wrong angle. 2nd The white building absorbed most of my flash so it can’t cast an 85 ft. Shadow. 3rd The angle of the gutter shadow would put it on her right not her left. 4th There are no shadows coming off of any of the other people. 5th The distance, angle, and size of the apparitions. The distance between the woman and the shadow was 85 yards and almost straight behind her and is way too big to be hers at that distance. 6th There are faces that I see with eyes nose and mouth. 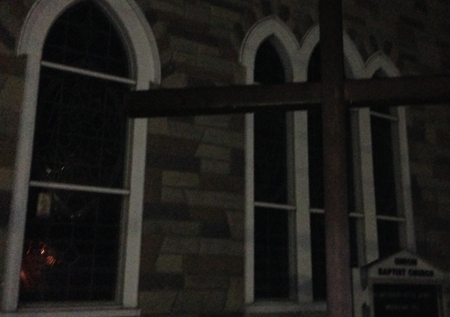 7th And final I thought saw the woman spirit in the middle of the three apparitions following us! The second picture is very peculiar to me because I once took a picture of my daughter and there was a figure exactly like this one in the photo. The shadow very well looked like my father but he was not in the room when I took the picture. This is a very good picture and I believe you did capture a ghost here.